I found Chapter 9 quite fascinating to research for. I managed to get (even when out of print) the original documents for the change in USA diet advice (1977 and the first dietary guidelines in 1980) and the UK documents from 1983 and 1984. They make for most interesting reading. They clearly acknowledge the Seven Countries Study as the inspiration behind the change but, you may be stunned to know, that the UK document admits that the study to prove that fat causes heart disease in any way, shape or form has never been done. You may like to read that again if you thought all the current allegations made against nature’s most stable fat – saturated fat – was in any way evidence based – it is not. The USA document also notes that there was debate about the advice at the time, but that the never tested low fat/high carb diet advice seemed the best option to go for in the absence of certainty. 400 million Americans, Brits and Australians have therefore taken part in a public health experiment. The change in advice came from a biased and non-proven study, which was only intended to help American men with heart disease. It became the standard national diet advice for men, women and children across these huge continents and we have been the guinea pigs to see what happens. What has happened is that the incidence of heart disease has not reduced (we have got better at treating it and particularly in saving people in the first critical few minutes). 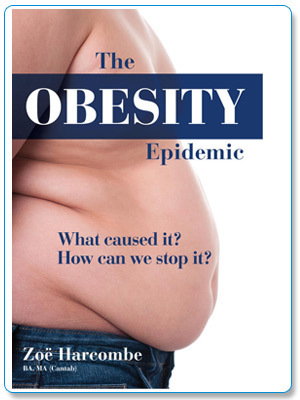 In addition, obesity has gone up 10 fold in the UK and almost as much in the USA (the USA started from a higher base). That’s quite an experiment.